Home | Occasion | Health Care Workers | St Luke the Apostle Jewelry & Gifts | St. Luke the Apostle Small Sterling Silver Pendant by Bliss Mfg. Home | Occasion | Physician/Doctors Gifts | St Luke the Apostle Jewelry & Gifts | St. Luke the Apostle Small Sterling Silver Pendant by Bliss Mfg. 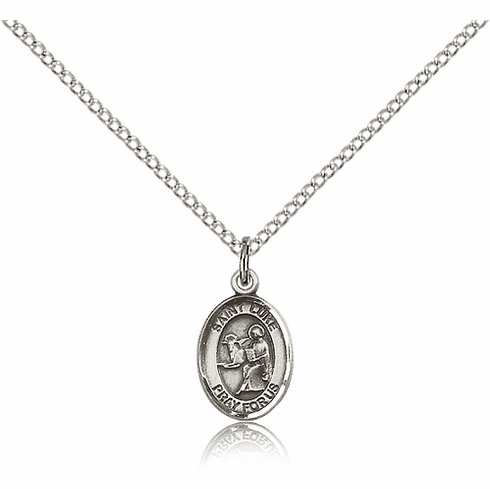 Home | Patron Saints | Male Patron Saint Gifts K-L | St Luke the Apostle Jewelry & Gifts | St. Luke the Apostle Small Sterling Silver Pendant by Bliss Mfg. St. Luke the Apostle Small Sterling Silver Pendant by Bliss Mfg.